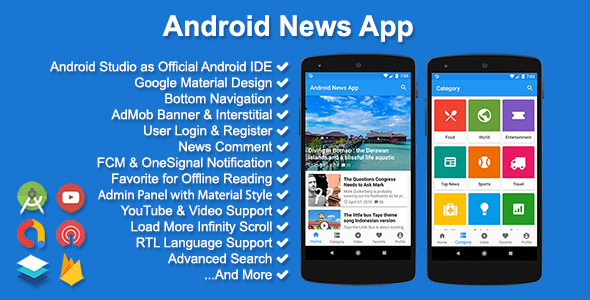 Android News App is a mobile news system which run under Android platform that used for your own news application. Developed with Native Java Language make the app run fast and smoothly. Implement Google Material Design make the app beautiful in design and users experience.